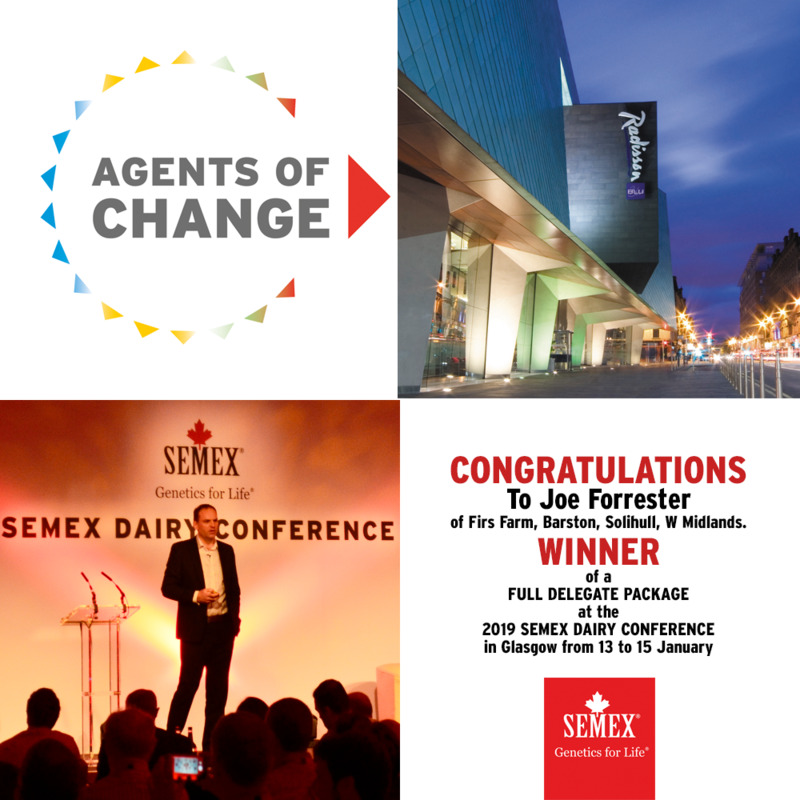 Joe Forrester of Firs Farm, Barston, Solihull, W Midlands, has won the full package of two nights and two days at the Semex International Dairy Conference in Glasgow. The Conference is from Sunday 13th to Tuesday 15th January 2019. Congratulations, Joe, and better luck next time to the other entrants. There's still time to book. Simply contact Conference Coordinator Leanne Garden by email at leanne@semex.co.uk, call FREE on 0800 86 88 90 or book here.